Writings from the Dark is a series of six short, powerful poetry recitals from acclaimed Indigenous writer and performer Steven Oliver. Broadcast on Brisbane Indigenous Media Association’s FM and digital radio station, this series also engaged remote Indigenous communities via ICTV. “So question yourself. Challenge ideals, start a revolution. Are you a part of this country’s problem or the solution.” Steven Oliver. 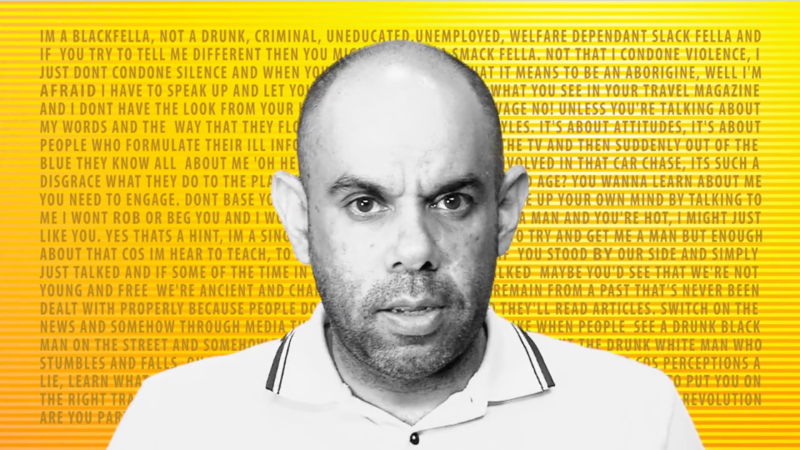 Writings from the Dark enabled Brisbane Indigenous Media Association to partner new Indigenous trainees with Steven to learn on the job while producing the series. This experience was invaluable, providing pathways to job opportunities that have the potential to be life-changing. Watch Writings from the Dark and donate to provide life-changing job opportunities to people in community media.